(CelebrityAccess MediaWire) — After three years off the road, John Mellencamp launches his North American tour on March 23 at Savannah Civic Center in Georgia. Dubbed the Words & Music Tour, after his recent 2 CD Greatest Hits, the tour’s first leg runs through April with Donovan as a special guest, who will also join Mellencamp for a special onstage collaboration. "Going out and playing is a great way for me to keep these songs alive; it's what I've done for my whole professional life,” said Mellencamp. “I do my best to give the audience the best possible performance and I've got the greatest band in the business backing me up. We're keeping the ticket prices down so as not to exclude anybody who might want to attend one of these shows." The top ticket price for the current set of dates is $45; the average ticket price will range between $25 and $35. Mellencamp's touring band consists of Mike Wanchic (guitar and backing Vocals), Miriam Sturm (violin, percussion and backing vocals), Michael Ramos (keyboards, accordion and backing vocals), Andy York (guitar and backing vocals), Pat Peterson (backing vocals and percussion), Dane Clark (drums and percussion) and Jon Gunnell (bass guitar). 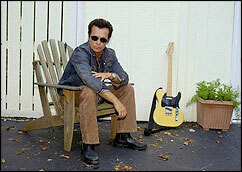 Members of the official John Mellencamp fan club, Club Cherry Bomb, (www.clubcherrybomb.net and www.JohnMellencamp.com) will be offered access to premium concert tickets via a presale available through the site.